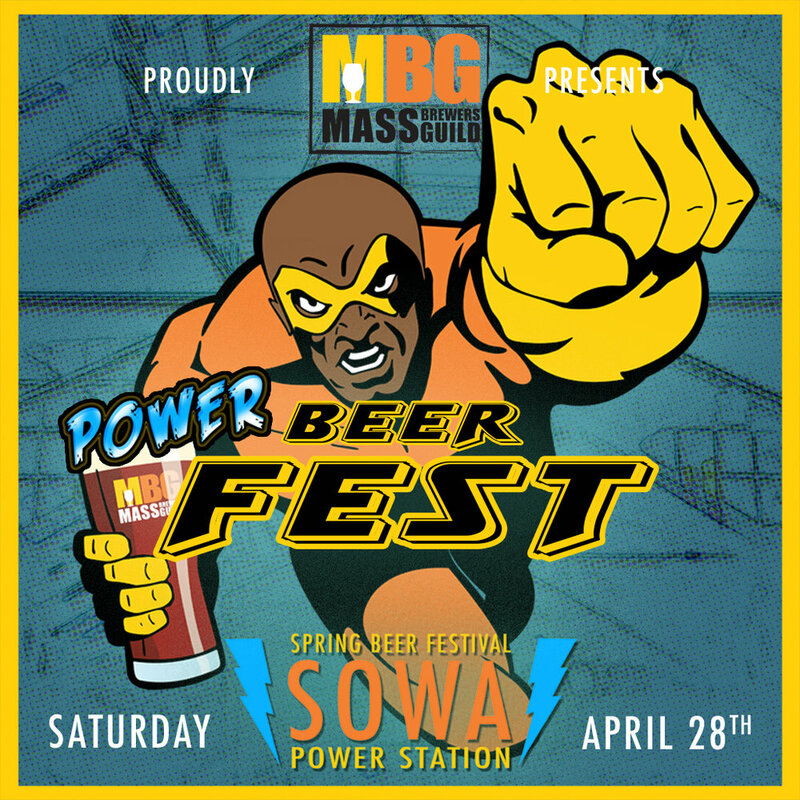 The Mass Brewers Guild is bringing the Power Beer Fest back to the SoWa Power Station for a second year to showcase more than 60 local breweries, all under one roof! Select one of two sessions held on Saturday, April 28 from 1 to 4:30 p.m. and 6 to 9:30 p.m.
All proceeds from the ticket sales of Power Beer Fest will support the Mass Brewers Guild, the state’s nonprofit organization that works to protect and promote the interests of craft brewers across the Commonwealth. This is the only beer festival run by brewers, for brewers. Tickets are $55 each for general admission, $25 for designated drivers/non-drinkers. Entrance includes unlimited two ounce beer samples. When these powers combine, it’s sure to be a good time. For festival questions and information download the MBG's free mobile appilcation "Mass Craft Beer" available in iTunes and Google Play stores. Beer lists, the festival map and the llist of food trucks and vendors will be available in the coming weeks.